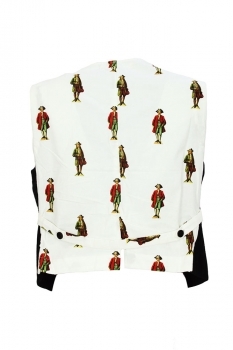 Aleksandr Manamis cotton waistcoat with black front panels and printed rear panel (Authors Waistcoat). 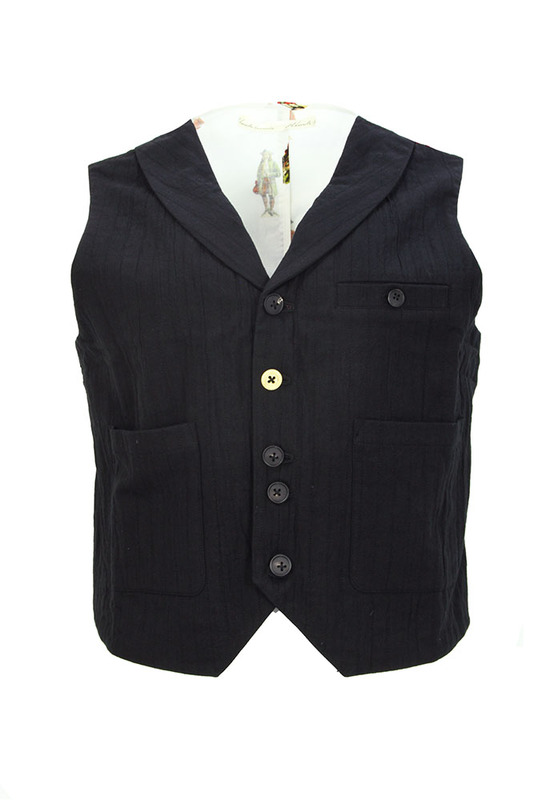 Curved lapels and 5 button fastening set a irregular spacings and with one light coloured bone button, the other buttons are dark. Angled cut away style. 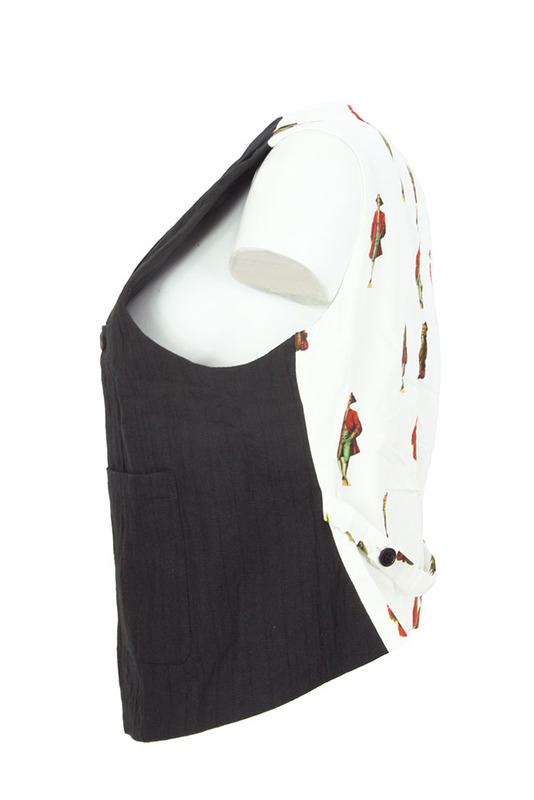 2 patch pockets and a left chest pocket with button fastening. The black front panels fabric is textured and with a black stitch pinstripe. The front panels are also double layered. The rear panel is in the linen cotton mix printed 'Captain my Captain' fabric, with fabric half-belt with two button fastening. The rear has a short vent. Again a wonderful piece of clothing. Only one left the medium, the others sold immediately in the shop.